Spatial Audio filters for the Google YouTube 360/VR pipelne. This repository contains information and resources that can be used in order to build binaural preview software or to directly monitor the binaural output when creating content in Digital Audio Workstations (DAWs). This is a set of binaural measurements (Head Related Impulse Responses or HRIRs) taken from a cube loudspeaker configuration. 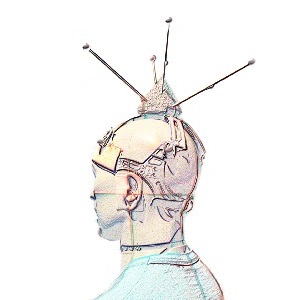 This configuration is used in the Google VR Audio first-order ambisonic binaural decoder. This set has been derived from the SADIE binaural measurements and is provided as individual time-domain FIR filters. Also provided is a preset configuration file for the ambiX binaural decoder plugin. Note: Using these filters directly (or via the ambiX preset) with your ambisonic mix will not result in an output equivalent to Google VR Audio unless you use phase-matched shelf-filters, as recommended by A. J. Heller, R. Lee and E. M. Benjamin in their paper "Is My Decoder Ambisonic?". To solve that problem, we also provide a set called symmetric ambisonic binaural decoder which contains shelf-filtered, symmetric spherical harmonic HRIRs which can be directly applied to an ambisonic mix via a simple filter operation (please see below). The filtering operation (* symbol) can be done using freely available tools, for example, free multichannel convolver plugins like LAConvolver (mac) or Freeverb3 (win). The dotted red line with the Ø symbol denotes 180° phase inversion. The filtering operation (* symbol) can be done using freely available tools, for example, free multichannel convolver plugins like LAConvolver (mac) or Freeverb3 (win). Why did you change HRTFs? Should I use HRTF monitoring when creating ambisonic content for binaural reproduction (e.g. YouTube 360/VR)? When creating content for YouTube 360/VR it is recommended that you monitor your ambisonic audio using the provided symmetric ambisonic binaural decoder and/or preview the final mix either directly on YouTube or in the Jump Inspector to control the timbre (coloration) and loudness of your mix (please see below). What is timbral coloration of HRTFs? Can I adjust my existing ambisonic mix to make it sound the same with the new binaural decoder? If you already have produced an ambisonic soundtrack using our THRIVE HRTF set for monitoring, you can simply correct the frequency response of your ambiX tracks to match the frequency response of the new SADIE KU100 HRTF set. This can be done by applying the filters we share in the /ambisonic correction filters directory. 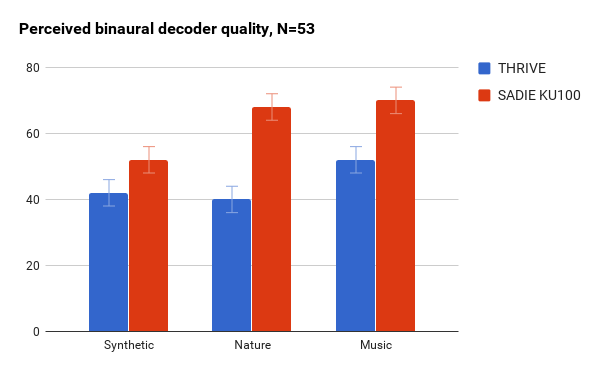 What is expected loudness of the Google VR Audio binaural decoder? Due to HRTF processing, the output amplitude of your Ambisonic track may differ depending which HRTF set you use. That is why it is important to monitor the binaural output when working on an ambisonic soundtrack using the binaural decoder which is going to be used to render your ambisonic content. Our binaural decoder's loudness should be the same as the loudness of a standard M-S stereo decoder. For example, the table below shows expected loudness (according to the EBU R128 standard) and absolute amplitude peak values when a 0.5 normalized pink noise bursts signal is played at 8 different spatial locations around the listener. Please note, although the loudness is matched between different decoders and the stereo decoder, the binaural output may result in the peak amplitude exceeding 0dB FS. Is there third party software for monitoring binaural output when working with ambisonic audio for YouTube? Some third party tools like BlueRippleSound O3A View, Noisemakers AmbiHead and SoundParticles (coming soon) implement their own binaural preview tools using the HRTFs from this repository which match those used by YouTube 360/VR. The SADIE project was conducted at the Audiolab at the Department of Electronic Engineering, University of York. The research team was led by Dr. Gavin Kearney, Lecturer in Audio and Music Technology. The research was funded by the Engineering and Physical Sciences Research Council (EP/M001210/1). If you have any queries about the project or our research please don't hesistate to contact us. © 2017 University of York.